An official report has revealed the annual number of euthanasia cases across all age groups has multiplied almost fivefold in ten years….In 2014, Belgium extended its euthanasia laws to all minors. To even ask such a question can brand the questioner as a hysterical opponent of assisted suicide who is using emotionally charged fear tactics. Assisted suicide supporters have worked mightily and successfully to persuade the public that a typical death would be an elderly person who, on her deathbed, freely chooses to die sooner, rather than later. This image has been so cemented in the public consciousness that even many opponents of assisted suicide are affronted by any suggestion that it would be available to young people. This was readily apparent during a 1997 campaign to repeal Oregon’s “Death with Dignity Act.” (2) In 1994, Oregon became the only place in the entire world where a law specifically permitted assisted suicide. Its implementation was held up in the courts and, prior to its going into effect, voters were faced with an attempt to repeal it. As in any political campaign, television commercials were produced to sway voters. One such commercial, intended to persuade voters to overturn the law, depicted a young man of about 19 or 20 named Billy. He appeared frightened and desperate on receiving the diagnosis of his condition and opted for the lethal dose. A voice-over explained that Billy’s death from the drugs, far from being peaceful, could be lingering and painful. The Billy ad was rejected by six television stations, including all three network affiliates in Portland. It was called “distasteful,” “over-the-edge,” “disgusting,” and “unbelievable” by both sides. Although some of the rejection of the commercial’s message centered around claims about lingering death, most people were turned off by Billy’s youth. No one could believe that someone who looked like a college freshman would qualify for doctor-assisted suicide. That is, it is not only important to tell the truth, it is also important to tell the believable truth. Until now, facts about euthanasia and children have been clearly in the realm of unbelievable truth. But, in the last few years, developments in the Netherlands and in Australia have opened the door, ever so slightly, so that the implications of assisted suicide for youngsters can begin to be discussed. Euthanasia and, to a lesser degree, assisted suicide have been widely and openly practiced in the Netherlands for years, yet they remained technically illegal until a law permitting them went into effect in 2002. In mid-August of 1999, the Dutch government published a proposal to formally legalize them. But this was different. This wasn’t a doctor’s decision. It wasn’t a parent’s decision. It would give children and young teens the legal right to request that their lives be ended with a lethal overdose of drugs. Few advocates of euthanasia were willing to publicly support the Dutch proposal as it related to children. A notable exception, however, was Dr. Philip Nitschke, an Australian euthanasia campaigner and activist. Known as the Australian “Dr. Death,” Nitschke legally practiced euthanasia in Australia during the few months in which the now defunct “Rights of the Terminally Ill Act” of the Northern Territory was in effect. He now conducts “how to commit suicide” programs in Australia and New Zealand and is often a featured speaker at right-to-die conferences in the United States. There is a certain irony to Nitschke’s stance, given his explanation of an event that took place when he was in his teens. Thus, according to Nitschke’s logic, a 15-year-old who kills a neighbor’s dog is exhibiting the actions of a child who is too immature to make good judgments. But a child who decides to kill himself is sufficiently mature to do so. Once again, kids and euthanasia dipped below the radar screen. Few people realized that, although euthanasia on demand for children was no longer in the bill, a similar provision had been substituted. Furthermore, it appears likely that the requisite parental approval or consultation will be observed where convenient but ignored if those in authority decide that such requirements are too burdensome. In effect, this would maintain a situation that has existed for well over a decade. That is, non-compliance will make such deaths illegal but they will not be prosecuted. The practice of pediatric euthanasia and assisted suicide in the Netherlands is not new. But such coverage of euthanasia for teens and pre-teens was sparse to say the least. 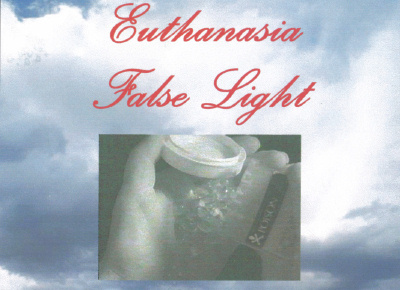 Furthermore, in the 1980s, euthanasia received scant mention in the major media. Few people were interested or concerned about it. Throughout the 1990s, little reference was made to children being given the right to request euthanasia although there were numerous references in the popular press to mercy killings involving disabled babies in the Netherlands. So why, if such practices have been on-going, was there such strong reaction to the 1999 proposal? The answer may be two-fold. First, the news of the proposal hit front pages and was covered on nightly network news. Second, in the wake of Jack Kevorkian and ballot proposals in various states, more and more people had heard of and had paid at least some attention to euthanasia and assisted suicide. Does this mean, then, that discussion of euthanasia and children is something which truly resonates with the American public? Has it entered the realm of the “believable” as it pertains to what could possibly happen here? In fact, such proposals have been made in the United States on a number of occasions. The initial proposal for legalization of euthanasia in the United States was, in fact, aimed at permitting involuntary euthanasia for children, as well as adults. Just as it is easy to dismiss what is happening in the Netherlands by saying, “We’re not Holland,” it would be simple to describe proposals of the 30s and 40s as aberrations of the past and declare, “That was a long time ago. No one would suggest such a thing today.” But such things indeed are being suggested. The prospect of mercy killing for children entered the realm of “respectable debate” in the 1980s and 1990s. This survey is being given to you because you are a parent. We would like your opinion on various issues pertaining to the health care of children. As you have probably been hearing on television, radio, reading in the newspaper, or even experienced, doctors have been using newer medicines and technologies to keep patients alive who may have died only a few years ago. Whereas this may be viewed as positive, it is also producing new problems for society: these advancements are very costly. A major issue of recent political campaigns has been who will pay for this increase in health care. The options have been to deny health care to those who can not afford it, or raise taxes and/or insurance premiums. Questions have been raised on how our limited amount of health care dollars should be spent. Do you support physician-supported suicide (voluntary death)? Do you support “mercy killing” (non-voluntary death)? The Pediatrics Ethics Survey received no attention outside of the Cleveland area, yet its message to the 900 parents who were asked to participate was loud and clear: euthanasia for a child is an “option” that deserves consideration. Far more attention was focused in 1999 on the issue of killing children when Australian philosopher, Peter Singer (no relation to Eric Singer), became a professor in bioethics at Princeton University. In 1999, Peter Singer, a former professor at Australia’s Monash University, became the Ira W. DeCamp Professor of Bioethics at the Princeton University Center for Human Values. At Princeton, Singer is molding and shaping the views of future leaders in medicine, law, education and business. Singer has honed his argument over the years. In 1997, the second edition of his Practical Ethics was published. In it, he based his espousal of pediatric euthanasia on a “replacement theory.” According to this theory, many parents opt to have a specific number of children and such offspring are intended to bring happiness to the family. Singer suggests that disposing of a disabled child and replacing it with a new one could result in greater happiness for all. When the death of a disabled infant will lead to the birth of another infant with better prospects of a happy life, the total amount of happiness will be greater if the disabled infant is killed. The loss of a happy life for the first infant is outweighed by the gain of a happier life for the second. Therefore, if killing a haemophiliac infant has no adverse effect on others, it would, according to the total view, be right to kill him. If disabled newborn infants were not regarded as having a right to life until, say, a week or a month after birth it would allow parents, in consultation with their doctors, to choose on the basis of far greater knowledge of the infant’s condition than is possible before birth…. Apparently the president of Princeton considers advocacy of infant killing to be in the same category as differing views on economic policy — just one more topic of academic debate. Yes, Peter Singer is making students think. And if they follow his twisted logic they will be more than ready to think that requesting or approving euthanasia for their children and the children of others is merely an application of very practical ethics. With the exception of the Netherlands, it would appear from the preceding discussion that suggestions of euthanasia for children deals with involuntary euthanasia of infants and other very young children whose doctors or parents would decide that they are better off dead. But there has been actual and model legislation in the United States that would have permitted elementary school children to demand death, with or without parental consent. Wisconsin State Representative Lloyd Barbee of Milwaukee introduced such a law on October 22, 1975. (53) It was described as an Act “relating to establishing a right to die.” If passed, the measure would have made an exception in the state’s homicide law for killing upon request and it would have abolished the crime of assisting suicide. Except as otherwise provided in this section, any person may request any person 14 years of age or older to terminate the life of the requestor. Any such request may be either oral or written. Any person terminating the life of a requestor, pursuant to a valid request, shall not be civilly liable for his actions and shall not be considered in violation of ss. 940.01 to 940.09. Prior to requesting another person to terminate the requestor’s life, the requestor, if married, shall notify his spouse of his decision. Permission from the spouse shall not be a condition precedent to making a valid request to die. (a) A person under 7 years of age shall not be able to make a valid request to have his life terminated under sub. (1). Barbee’s bill was over the edge by any standard, yet it was a serious proposal. Since its quiet demise in the Wisconsin Assembly’s judiciary committee, no bill with such blatant advocacy of euthanasia for children has found its way into the legislative hopper. In fact, it was over twenty years before another bill that would have permitted minors to request death by assisted suicide or euthanasia was introduced anywhere. But a model law, permitting death on demand for very young children, was drafted in 1989 with the expectation that it would be used eventually by states throughout the country. Fortunately, the Aid-in-Dying Model Act was never implemented. However, it and other proposals which would make assisted suicide and euthanasia available to children and teens are waiting in the wings for a climate in which their acceptance would be possible. In the meantime, at least one of the drafters of that Iowa law school endeavor, Cheryl K. Smith, has been instrumental in making that day of acceptance a bit closer. Smith and most euthanasia proponents had learned the lesson well — patience does pay off. An incremental approach succeeds in achieving goals. It just takes a bit longer. However, some advocates of mercy killing are not so patient. Upset that, after winning in Oregon, they’d been losing ground, one contingent of the right-to-die lobby explored the notion of using shock and threats to push their agenda. Plans to throw down the gauntlet were outlined at a November 1999 conference sponsored by Arizonans for Death with Dignity, an affiliate of the Hemlock Society. Failure to gain approval for assisted suicide in Michigan, the impending defeat of a legislative bill in California, and losses in the courts were discussed. Then conference participants were implored to put all available resources into passage of an initiative to legalize assisted suicide that was scheduled to be on the November 2000 ballot in Maine. Participants asked what could be done if they failed to win in Maine. Dr. Philip Nitschke (the Australian physician who had commented so favorably on Dutch plans to legalize euthanasia for 12-year-olds), the conference’s keynote speaker, responded to the query. He described his efforts to find what he calls the “holy grail” and what others call the “peaceful pill.” Frustrated over the overturning of Australia’s euthanasia law and over the lack of progress in other legalization efforts, Nitschke had been working on a new way to make lethal substances which would circumvent existing laws and would be easy to obtain and use. Nitschke said he was close to completing the project but was working on making the home synthesis easier. When one participant asked if there would be problems with marketing the kit over the Internet since teens would have access to them, Nitschke said it was unlikely that a teen would spend the time necessary to mix it. But he went on to say that the possibility of teen use should be used to force politicians to adopt laws permitting assisted suicide. “Tell the politicians, ‘You’re looking down the barrel of a very anarchic and out-of-control environment” (72) since, if it becomes necessary to provide this means of assisted suicide, teens will get it. There won’t be any way to control it. The bottom line was: Pass the laws we want or we’ll sell suicide kits to your kids. Girsh announced, “The Hemlock Foundation will make a donation for that purpose” and Earl Wettstein, president of Arizonans for Death with Dignity, chimed in that his organization would publicize the need for funds. But also deadly serious and probably not illegal. And as outrageous as the plan to force the issue by threatening Internet sales of suicide kits seemed, assisted suicide activists were ready to embrace it. With the exception of his comments at the Arizona conference, Nitschke has not used the potential availability of his “peaceful pill” for teens as a threat. Instead, he has increased his advocacy for making it, and other means of assisted suicide, available to teens. He describes access by teens to the means for suicide as eminently reasonable. So all people qualify, not just those with the training, knowledge, or resources to find out how to “give away” their life. And someone needs to provide this knowledge, training, or recourse necessary to anyone who wants it, including the depressed, the elderly bereaved, [and] the troubled teen…. By moving the boundaries in this manner, the Nitschke-Humphry-Girsh element of the euthanasia movement could make others in the movement seem reasonable by comparison. Other euthanasia advocates could then be seen as the “moderate middle” of the debate and seize the high ground to promote the “need” to legalize the practice under careful guidelines so abuses that would surely result from the sale of Internet suicide kits can be prevented. As has been discussed, euthanasia advocacy over the years has not been limited to adults. Assisted suicide and euthanasia do pose a real threat to minors. But, to date, little attention has been paid to this aspect of the debate. But as discussed above, the public is not yet ready to consider the possibility, let alone the probability of death on demand for or by children and adolescents. This does not mean that this aspect of the debate should be ignored. On the contrary. For all who already oppose euthanasia and assisted suicide, it should serve as a continuing reminder of what is really at stake. It shows the urgency of the need to work harder than ever to effectively oppose legalization of assisted suicide and euthanasia for all ages. 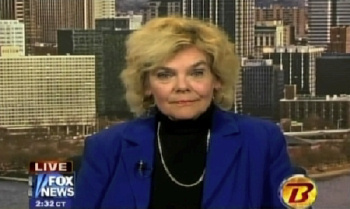 Rita L. Marker is an attorney and the executive director of the International Task Force on Euthanasia and Assisted Suicide. (1) Because “euthanasia” and “assisted suicide” are often used interchangeably in the press and in public discussions, they are used similarly in this report. It should be noted, however, that they are not the same. One way to distinguish them is to look at the last act – the act without which an intended death would not occur. For example, if an intravenous needle has been inserted into a patient’s vein so that a lethal drug dose will flow through upon the flip of a switch, triggering the switch is the last act. If the patient activates the switch, assisted suicide occurs. If the doctor activates the switch, euthanasia occurs. Until 1994, right-to-die advocates sought to legalize both practices under the label “aid-in-dying.” The Oregon Death with Dignity Act marked the first time that an “assisted suicide only” bill was proposed. The measure passed, making Oregon the first place in the world to pass specific legislation permitting assisted suicide. The Netherlands and Belgium have passed laws permitting both euthanasia and assisted suicide. (2) ORS 127.800 – 127.995. (3) R. Waicukauski, J. Epps, P. Sandler, “Ethos and the Art of Argument,” Litigation, 1999, 26: 31 (emphasis added). (4) “World in Brief,” Washington Post, August 11, 1999, A16 and Associated Press, “Dutch Government Legalizes Mercy Killing,” August 10, 1999. (5) R. Moseley, “Dutch euthanasia plan lets kids make choice,” Chicago Tribune, August 26, 1999. (6) J. Shapiro and D. Bowermester, “Death on Trial,” U.S. News & World Report, April 25, 1994, 36. (7) “Children should have the right to die: euthanasia campaigner,” The Age, (Australia), August 11, 1999. (8) “Profile: Philip Nitzschke,” Sydney Morning Herald, October 12, 1996 and Richard Yallop, “Truth and consequences,” The Australian, May 30, 2002. (9) Id. Sydney Morning Herald. (10) Supra note 8, The Australian. (11) “Australia: Children should have RTD,” Right-to-die Internet mailing list, August 12, 1999. (12) Wall Street Journal, October 6, 1999. (13) “Questions and answers regarding euthanasia policy 2001: ‘Can anyone request euthanasia? '” Web site of the Dutch Ministry of Foreign Affairs: The Dutch euthanasia legislation, accessed April 24, 2001 (http://www.miknbuza…/Content.asp?Key=413173&Pad=400025,257588,257609,405188,41307), Press release from the Ministry of Justice, (http://www.minjust.nl:8080/c_actual/persber/pb0715.htm) and Text of Bill for Review procedures of termination of life on request and assistance with suicide (PDF format, accessed from Press Release on line). All accessed Apr. 24, 2001. The bill went into effect in April 2002. (15) M. Nesirky, “Euthanasia of children proposed: Holland would forgo requiring parent OK,” Orange County Register, March 20, 1987. (16) R. Fenigsen, “Euthanasia in the Netherlands,” Issues in Law & Medicine, 1990, 6:244, citing “Arts Geeft Jongeren Dodeliijke Pil Mee (Doctor Supplies Boys with Deadly Pills),” Brabants Dagblad, October 10, 1987. (17) “It’s Almost Over — More Letters on Debbie,” Letter to the editor by G.B. Humphrey, M.D., Ph.D., University Hospital, Groningen, The Netherlands, Journal of the American Medical Association, August 12, 1988, 260:788. (18) A. Katzman, “Dutch debate mercy killing of babies,” Contra Costa Times, July 30, 1992, 3B. (19) M.A.M. de Wachter, “Euthanasia in the Netherlands,” Hastings Center Report, March-April, 1992, 24. (20) J. Shapiro and D. Bowermester, “Death on Trial,” U.S. News & World Report, April 25, 1994, 36. (21) M. O’Keefe, “The Dutch way of dying,” San Francisco Examiner, February 19, 1995, A-8. (22) “Sanction is Sought for ‘Mercy Deaths,'” New York Times, January 17, 1938. (23) “‘Mercy Death’ Law Proposed in State,” New York Times, January 27, 1939. (24) “‘Mercy Death’ Law Ready for Albany,” New York Times, February 14, 1939. (25) O. Ruth Russell, Freedom to Die: Moral and Legal Aspects of Euthanasia, (New York: Human Sciences Press, rev. ed., 1977), 89-90. (26) F. Kennedy, “The Problem of Social Control of the Congenital Defective,” American Journal of Psychiatry(1942) 99:13-14. (28) Pediatrics Ethics Survey formulated by Dr. Eric Singer of the Cleveland Clinic Foundation and Dr. Andrea Sperduto of MetroHealth Medical Center, circulated in summer 1993 (on file with author). (29) Id. cover sheet, (emphasis added). (30) Id. question 10, (emphasis added). (31) Id. question 13 (emphasis on “newborn” in original). (32) Id. question 13, (emphasis added). (36) Telephone interview with author, February 10, 1994. (37) P. Singer, “Sanctity of Life or Quality of Life?” Pediatrics (1983) 72: 129. (38) Kuhse, like Singer, espouses the choice of death for newborns. At a 1990 symposium held at the University of Iowa College of Medicine she said that she had proposed a four-week period after birth during which newborns could be assessed for serious handicaps. Those who failed the assessment would be allowed to die or to be killed, whichever was more socially acceptable and painless. P. Steinfels, “Beliefs,” New York Times, November 10, 1990. (39) Application for Renewed Support for 1984 project titled “Life or Death Choices for Defective Newborns,” Official Report of Assessor, File No. A181/15082 1 (on file with author). (40) P. Singer, Practical Ethics, Second Edition, 1997, 186. (42) D. Oderberg, “The Singer Controversy,” Quadrant, September 1993, 74, citing P. Singer, Journal of Applied Philosophy, 1992, 9:85-91. (43) D. Oderberg, “Good riddance to a warped philosopher,” The Age (Australia), April 28, 1999. (44) The President’s Page, “The Appointment of Professor Peter Singer,” Princeton Weekly Bulletin, December 7, 1998. (46) “Opinion Interview: Only Human,” New Scientist, January 8, 2000. (47) Viktor Frolke, “Professor Death,” Salon.com, June 25, 2001. (http://www.salon.com/books/int/2001/06/25/singer.html) last accessed June 26, 2001. (49) “Ethicist: OK to kill disabled newborns,” Cape Cod Times, October 6, 2001. (50) Supra note 40, 228. (53) State of Wisconsin, Assembly Bill 1207. Barbee served in the Wisconsin legislature from 1965 to 1977. (55) Illinois HB 691, sponsored by Representative Scott in February 1997. Co-sponsors were Representatives Feigenholtz, Ronen, Burke, McKeon, Fritchey, Howard, Erwin, Stroger, and Art Turner. (57) Definitions of “terminal condition,” “terminally ill” and “terminal illness” have no time reference but, instead, refer to a condition that “will, in the opinion of two physicians, probably result in death.” Id. 142 (emphasis added). (58) Id. 163 (emphasis added). (61) “Technological dependence” is defined in a manner that could include anything from use of tube feeding, dialysis, a pacemaker or a shunt. Id. 140-141. (63) Id. 214 (emphasis added). (64) Chris Docker and Cheryl Smith, Departing Drugs, 1993; Chris Docker and Cheryl Smith, Beyond Final Exit, 1996; Richard MacDonald, Faye Girsh, Derek Humphry, Cheryl Smith, “Do’s and Don’t of Self-Deliverance,”Timeslines (Hemlock Newsletter), Winter 1998, pp. 5-6. (65) M. O’Keefe, “Hemlock Society seeks a new image,” Oregonian, November 20, 1994 and T. Bates, “Write to Die,” Oregonian, December 18, 1994. (66) C. Smith, “Safeguards for Physician-assisted Suicide: The Oregon Death with Dignity Act,” in S. McLean (ed. ), Death, Dying and the Law (1996) 83. (67) Transcript of tape of Girsh presentation, “State of the Nation & World,” at Arizonans for Death with Dignity conference, Radisson Resort, Scottsdale, Arizona, November 20, 1999 (on file with author). (69) C. Ostrom, “Assisted-Suicide Activists Split — Legislative Setbacks Spur Do-It-Yourselfers, Seattle Times, November 13, 1999. (70) Transcript of tape of Nitschke presentation, “Patient Aid-in-Dying Clinics & status of a ‘Peaceful Pill,'” at Arizonans for Death with Dignity conference, Radisson Resort, Scottsdale, Arizona, November 20, 1999 (on file with author). (73) Derek Humphry was a co-founder of the Hemlock Society and the author of the suicide manual, Final Exit. Now an official of the Euthanasia Research and Guidance Organization (ERGO) and of Americans for Death with Dignity, Humphry is currently promoting a video on how to commit suicide using a plastic bag. (74) Brett Foley, “Euthanasia groups cool on suicide pill,” The Age (Australia), August 3, 2001. (75) Kathryn Lopez, “Euthanasia Sets Sail,” National Review Online, June 5, 2001. (77) Sasha Baskett, “Suicide pill plans gain momentum,” Herald Sun (Australia), August 13, 2001. (78) S. Wolf, “Facing Assisted Suicide and Euthanasia in Children and Adolescents,” in L. Emanuel, ed., Regulating How We Die: The Ethical, Medical, and Legal Issues Surrounding Physician-Assisted Suicide, 1998, 93.